I have tried many methods of removing stains from clothing over the years. This homemade miracle cleaner stain remover really does the job, and it is inexpensive and easy to make. The other day when I was mixing up a fresh bottle of my favorite homemade stain remover, I realized I have never shared it here on the blog. Probably in part because it’s been all over Pinterest for years and I assumed everyone already knows about it. Yet I’m surprised every time I tell someone about this miracle cleaner and they had never heard about it. Which made me think, I would be doing an injustice to my readers who have NOT heard about it if I didn’t share this life-changing formula. The story tells a tale of a favorite dress and a glass of red wine. After thinking the dress was completely ruined, a friend let her in on a little stain removal secret that she has sworn by ever since……………. Mix and pour or spray directly on stain, launder as usual and watch it disappear like MAGIC. What does 1 part to 2 parts mean? 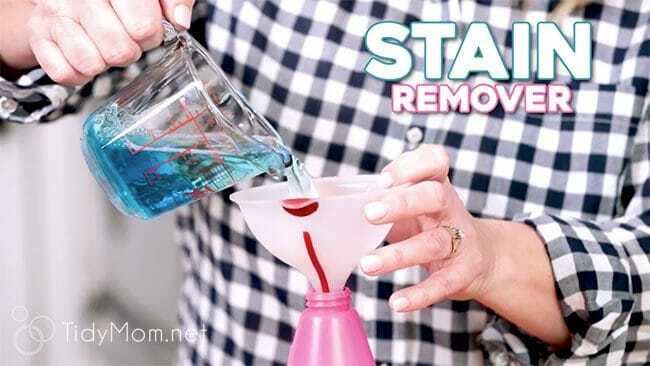 You can mix however much of this homemade stainer remover you need. Whether you want to mix just enough to treat one small stain or a bottle full, you will measure out twice as much hydrogen peroxide than the dishwashing liquid. So, if you use 1 teaspoon of Dawn, you will need 2 teaspoons of peroxide. Or 1/2 cup of Dawn and 1 cup of peroxide. Have odor to remove too? 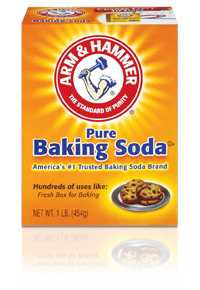 Add a little baking soda for extra deodorizing and scrubbing power. Good for armpit stains, pet stains, vomit and grease stains. What Can You Use This DIY Spot Remover On? I keep a bottle of this Miracle Cleaner in my laundry room to spray on stains, and it has yet to fail me. Besides usual food and other mysterious stains that appear on my family’s clothes, I have used the Miracle Stain Remover to successfully removed set in grease on a favorite t-shirt, yellow armpit stains, chocolate, blood and tire grease when a white hat was driven over after being lost in the street. If I’m worried about a really tough stain, like the hat or yellow armpit stains, I will use an old toothbrush to scrub the stain remover into the fabric (you can also sprinkle with a little baking soda to make a paste for a little extra deodorizing and scrubbing power) and let it sit about an hour before washing. If it’s a large stain, as was the case with the dress, you can mix the formula and add it to a bucket of hot water and soak the entire garment for a few hours. If the stain does not come out completely the first time, try it a second time, but it has worked the first time on everything I have tried. As with any stain removers, always do a spot test, but if it’s a garment that’s already a loss because of the stain, what do you have to lose? Does this Miracle Cleaner Work on Carpet? I have used the Miracle Cleaner on carpet with great success as well, and I know others have used it on upholstery, mattresses, grout, and many other items around the home! For treating stains where it’s harder to rinse, like carpet, upholstery or a mattress you will want less suds so it’s best to use a higher ratio of peroxide (3 or 4 parts peroxide to 1 part Dawn). Won’t Hydrogen Peroxide Bleach My Clothes? Household Hydrogen Peroxide is 3% can be very effective cleaning agents without a bleaching effect. While higher concentrations of hydrogen peroxide at 6% or more are strong enough to cause bleaching. The brown bottles at the drugstore are generally 3% Hydrogen Peroxide. 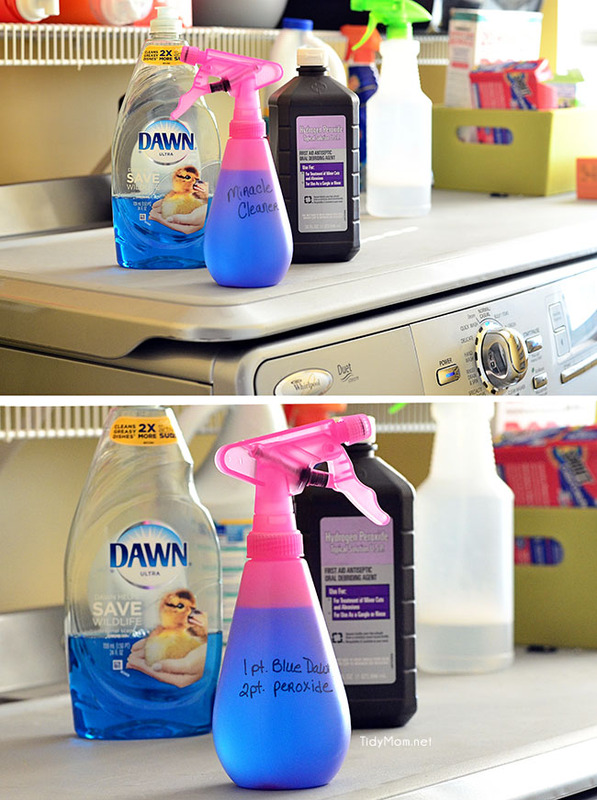 CHECK OUT HOW TO MAKE THE MIRACLE CLEANER – DIY STAIN REMOVER! WATCH THE VIDEO! I would love to hear if you have tried the Miracle Cleaner, and what results you had! You can find more of my Tidy Home tips here. I open a packet of hot sauce yesterday and as I tried to squeeze the sauce into a bottle of V8 it instead sprayed all over a favorite shirt. So that’s how I found this post yesterday. Went to the store in search of peroxide, a dark bottle and Dawn. My store had peroxide already in a brown spray bottle. I emptied 1/3 of the peroxide out and added the Dawn. And now the shirt has been saved. Along with 3 others I had given up on. So far it’s removed hot sauce, coffee that had sat for 4 days, a mystery stain of forgotten age, and restored a white fishing shirt of my husband’s that had been stained yellow from sunscreen last year. I had tried everything on that sunscreen stain. Nothing even touched it until this. I’ll be sharing this post today. What do you mean when you say 1 part and 2 parts? Do you mean pints? I’m confused. Does it work on odors too? I’ve been using stain spray to help with my tween’s lingering underarm shirt stinches. Love your tips and advice. I have quite a few clothes I would love to save from stains but is it safe to use that remover in high efficiency machines??? 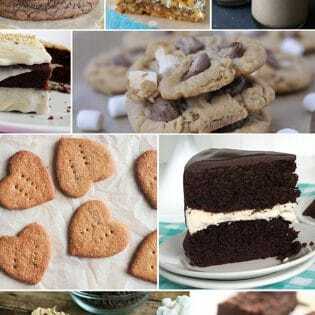 I am definitely going to try you recipe then! Thank you! Hi TidyMom! 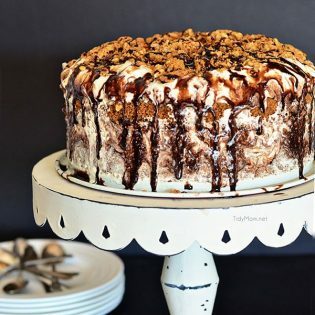 The recipe looks great! Is it safe on colored clothing, or just whites? I can’t say with certainty – but if you try something else, let us know if it works! I’ve used the power clean it works great But you have a higher chance of your colors being lightened so I only use that kind for my whites. Hope this helps. The dawn platinum works the same way. I’ve used it before. Just make sure you don’t have bleach in the soap. Does this solution work on bed bug stains? how did you use it on the carpet how did you rinse it out? including bleach. I have tried hydroperioxide. I’ve been using this for a few years and I swear by it. I tell people all the time about it because it has gotten every stain, old and new out of items for me. It’s truly amazing and so simple! I typically spray any stains before tossing the garment into​ the hamper, where it may sit several days before I do laundry again. Is this safe to leave on that long? I obviously don’t want to bleach my clothes with the peroxide. 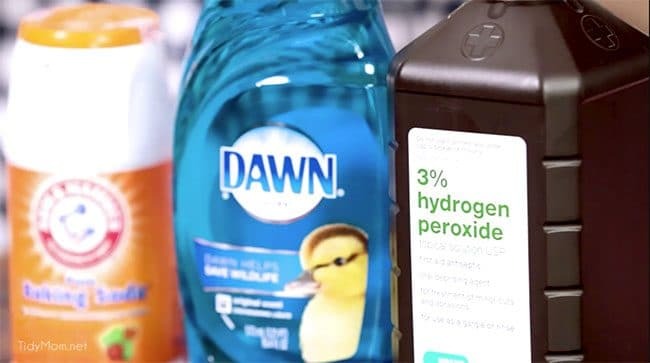 Household Hydrogen Peroxide is 3% – Concentrations of hydrogen peroxide at 6 percent or higher are strong enough to cause bleaching, while lower concentrations can be very effective cleaning agents without a bleaching effect. I’ve always used 1:1 so I’ll have to try the 1:2. I first learned about it with my first baby…perfect for diaper explosions and later, food stains. I have a grease stain (sun screen) on my leather purse. I’ve tried other things that didn’t work. Any experience using this on leather? Has anyone successfully used anything other than blue dawn. I can’t stand the smell of it. I always make a whole bottle of it and the next day, it’s clear instead of blue….but it still works. There is no way I’d throw out a batch because of the color. I figure it’s probably due to my nit using a dark bottle…but I prefer the spray bottle so I use it anyway. Try it…you have nothing to lose other than a few stains! Since I obviously have no desire to wash it every day, I tried dabbing the stains with a “NON-CHLORINE” bleach. The stains came out but left a yellow tint. Do you think this concoction would restore the white color? If I need to restore something to white the best thing I have used is Rit Color Remover. It comes in a small box and can be found in the laundry section of the grocery store. Warning it is stinky…sort of a sulfur type odor. 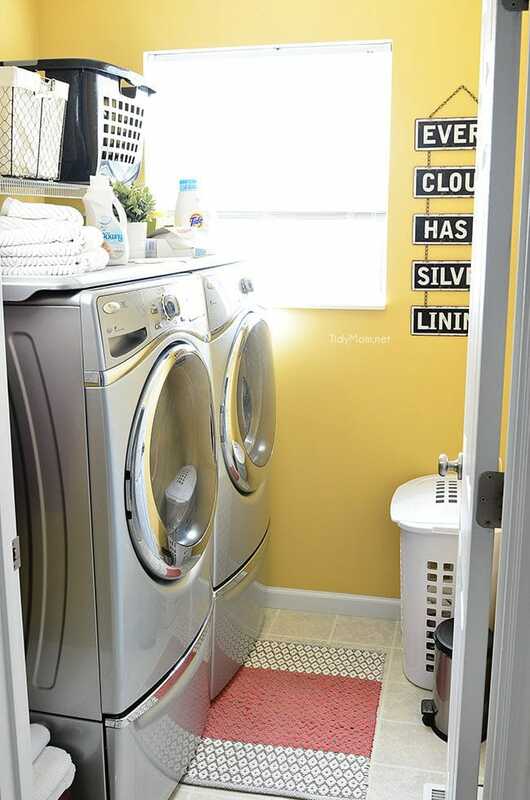 – Put the item in your washer and run it on a rinse cycle. -Set the wet item aside. Rit works best in really hot water. So, I boil large pots and dump them in with the hottest water my machine will load. -Pour in the Rit and agitate it in the washer for 1 minute. 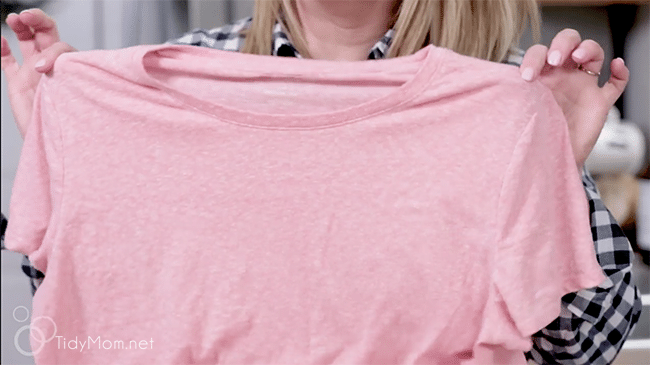 – Add the fabric item to the washer and agitate for 1-2 minutes. You can then follow package instructions from there. I have let things I needed to whiten sit over night. Finally, plan to wash your item one additional time to remove the Rit smell from your fabric item. Long before all the great info on whitening was available on the internet, this is how I whitened up nylon slips, bras and lingerie. First, a question…can your formulation remove coffee and chocolate stains on a burgundy industrial quality flat-pile carpet? Next, a comment…if you don’t have, or can’t find a brown spray bottle to store the peroxide mixture, wrap the spray with aluminum foil. It will keep your mixture for some time, but as always, test a hidden area to be cleaned first. So this doesn’t bleach at all? ( my only worry,with the peroxide) Is it because, as you stated earlier, the ratio of peroxide is diluted with the dawn? I would hate to use this on one of my husbands shirts and have a white spot when I’m done. Thanks in advance. nope – I’ve used it on all sorts of fabric, carpets, rugs and colors – it does not bleach it. Using the 3% H2O2 from drugstores won’t bleach clothes. Most of the advertised oxygen stain removers contained this peroxide and it even brightens the color. This is an amazing find. I use it on all my laundry stains. It always does the job. For me, one of the things people overlook is how effective your cleaning is! It’s also about the efficiency and how it will affect your daily schedule. I believe the more effective you are and organized the better.I myself found that most people who clean properly and regularly believe in that and know how important it is. (because that is why dawn was developed to remove bio oil from animals that were affected from oil spills). for carpets I also used baking soda on stain let it sit for about 15 min or even over night to absorb oil base and then used this solution and rubbed area with wet cloth to rinse then followed up with vacuum when dry. Had a huge area in carpet that did not come up with other cleaning agents and this formula removed it with two applications and it looked like it was brand new carpet. Have bought used baby clothes from yard sales and used this on it and was able to regift them later along with bottle and recipe of solution to new mothers. Hi Cheryl, I’m desperate to get out dried latex wall paint out of my favorite dragonfly tshirt. It’s a cotton shirt. Can this solution possibly work on latex paint? It’s not a really dense streak of paint though…. it looks like a subtle brush of paint from when I got too close to a wall with wet paint…. but the area is about the size of a baseball. Any helpful hints? How do you keep your H2O2 from degrading to H2O? I can’t wait to try this homemade stain remover. How long does this solution last? Is is shelf stable for a week, a month, …? it will last longer if you keep it in a dark bottle (like peroxide comes in. I try to keep our bottle in a cabinet or closet since my bottle is not that dark. And I only mix about 1/2 a bottle at a time, and I give it a little shake before using. So basically, you are best to just mix a small batch at a time. Just want to say I have been using this miracle spray for over a year now. I love it. I especially use it on Arm Pit stains and Dress Shirt collars. Works great. I have told a lot of people about it. Thank you again for your tips. yay!! so glad to hear it’s working so well for you too!! Thanks for sharing! you will measure out 3-4 times more hydrogen peroxide than the dishwashing liquid. So, if you use 1 teaspoon of Dawn, you will need 3-4 teaspoons of peroxide. Or 1/2 cup of Dawn and 1 1/2- 2 cup of peroxide. The dawn dishwashing liquid is not available here..! So please can u give me any alternative for that? You have shared some great cleaning tips. This handy cleaner helped me to clean the coffee stain oh my shirt. Now thanks to your tips, it will help me to clean the deep chocolate stain after reaching home. Thanks for this, Tidy Mom. I am going to use Sal’s Suds (which is a concentrate) in lieu of dish liquid. Any thoughts on what proportions to use? 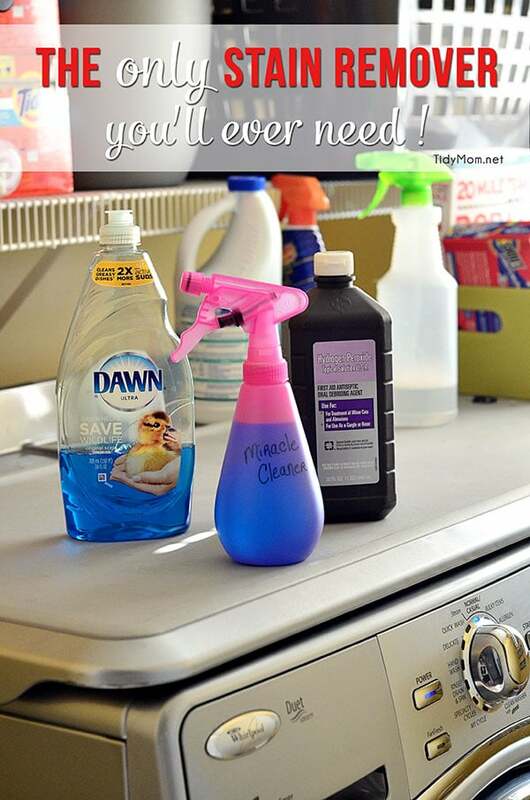 Most spray bottle tops will fit onto a hydrogen peroxide bottle if you can’t find a separate dark bottle to use. This worked great on a coffee stain in my carpet from Christmas!!! Any advice on getting rid of the ammonia smell left in the carpet?? This stuff is amazing I found the recipe about 2years ago or so ,now if there is ANYstain of any kind I grab my container with this awesome stain remover from under the sink( witch is always made up) now even my boys know about it and use it in there homes..
A lady gave me some brand new baby items that was in her storage that had mildewed will this get the mildew out as well?